This week’s stats from WebHosting.Info shows that DreamHost have reached another milestone. 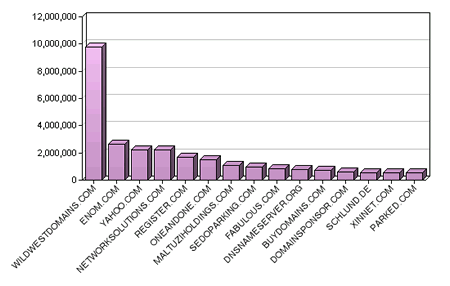 They are now hosting more than 400.000 domains. Last January they passed 200,000 domains, in July they reached 300,000 domains and the last 6 months they have continued their growth with tremendous pace. This means that they now have doubled in size in less than one year. This also means that DreamHost are now finally in the top 20 of the biggest hosts in the world – currently as number 19! Congratulations once again DreamHost and a Merry Christmas to all of you! We’ve just started a contest where you can win an iPod Shuffle by guessing when DreamHost will pass 500,000 domains. This entry was posted on Monday, December 25th, 2006 at 15:44	and is filed under Domains, DreamHost, History. You can follow any responses to this entry through the RSS 2.0 feed. Both comments and pings are currently closed. Congrat’s on a good 2006. Maybe 2007 will be even better, let’s hope. Nice. Free 2 Year packages to celebrate! We all now how companies get evil and uncool as they get bigger and bigger. > We all now how companies get evil and uncool as they get bigger and bigger. I’ll let you in on a little secret: We became evil a good 2-3 years ago – and uncool a year or so earlier than that. 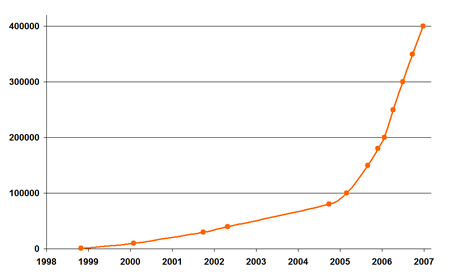 If you get rid of all the domain parking servers, DreamHost is actually around fifth. It would be interesting if somebody could do a set of statistics that excluded “parked” domains (if you can define this somehow in a sufficiently rigorous manner) to see where DH stands for true web hosting. Parked domains are hosted with a domain parking services, right? Not with a normal web host.